The philosophies around restoration and preservation of classic cars have been undergoing a significant change over the last several years as the collector car hobby has continually matured. The value of barn finds and preserved cars now surpassing that of the best concours restorations. Only a few years ago every car that was even a driver condition car was considered for restoration. Now the mantra "a car is only original once" is a well known phrase on most enthusiasts tongues. Further changes influencing the collector car hobby was the introduction of preservation classes at the very top concours as well as a slowly changing mentality to judge cars based on authenticity over beauty and cleanliness. 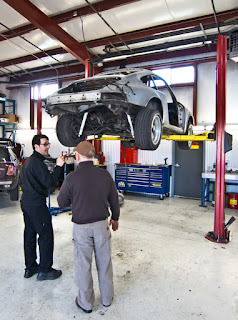 As we approached restoring the 1976 Carrera MFI 2.7 chassis #911 660 9050 there were many points that we had to think hard about whether to preserve vs replace original. Fortunately the team assembled to tackle this restoration were also very sympathetic to the notion of attempting to preserve as much as possible rather than the often more common approach of just replacing parts with new items. While this often makes for a crisp restoration much of what made the car special when it left the factory may be gone. Unfortunately #9050 wasn't in any sort of shape to be an untouched preservation car. The paint had been partially sanded and was covered in overspray from sitting in several body shops over a decade. There were dents and dings that had been repaired to the standards of a typical body shop rather than a high quality restoration. Speaker holes on the doors had been enlarged to put a thumping system popular in the 1980s and 90s. Not to mention rust had set in some of the common places for a 911. However, there were also a significant amount of very original aspects to #9050 including the grease pencil markings on doors and dash, the majority of mechanical parts were original and date coded from 1976, original panels and wing, galvanized and under body coatings largely untouched, original sound deadening, etc. Carefully each component was removed, inspected, and photographed in its current state. 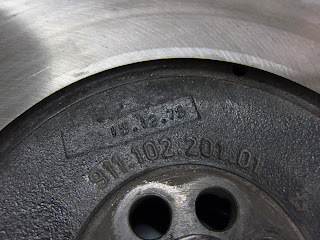 Research was done to determine how to read the date codes as a way of determining if each part was indeed original to the car. As defects were found or original finishes were questioned additional research was done to compare to photos of other Carreras known to be fairly original, or at least against photos from a sample of several cars built the same month. In some cases where the original item was replaced or missing it becomes necessary to track down a period correct, and if possible date code correct, NOS or used replacement. In the end this is still a restoration, but one that errs more on the side of attempting to preserve some of the nuances of how the car left the factory. Another angle is how you deal with short comings that existed when a car originally came from the factory vs taking advantage of all the improved engineering since then. An example of this are the upgraded Carrera chain tensioners. Do you install the correct original chain tensioners, known not to have a long lifetime in a regularly used 911, or do you install the reengineered pressure fed chain tensioners from a mid-1980s Carrera? In our case for #9050 we have decided to stick with originality and install the original chain tensioners. Part of the reasoning was the car wouldn't see daily use so racking up the 40k-50k miles where you start seeing failures with the original chain tensioners might take a decade or two. The engine would be serviced well before then and the chain tensioners inspected on a more regular basis. Each individual embarking on the restoration of a car needs to choose how they would like to approach the project. Are they restoring to make it a really nice car, perhaps even better than when it left the factory? Are they trying to win show and shine concours? Are they restoring it primarly to be mechanically sound to maximize enjoyment behind the wheel? Are they attempting to maintain as much authenticity as possible about the car for future generations to appreciate? In the end this is a very personal choice and should be decided before the restoration begins. The approaches taken can be very different depending on the desired result, as well as the costs involved. For example, preserving a cars authenticity can often be significantly more expensive due to all the details that need to be done differently or just the labor involved versus simply replacing items. In the end there is no "right way". It is up to the judgement of those tackling a restoration project along with pursuing constant self education on the latest techniques and philosophy behind preservation and authenticity. For those interested in what is happening or being considered for the very top end of significant cars, e.g. cars that transcend well beyond the merely rare Carrera RS or 300SL Gullwing such as a Le Mans winning 917, a good academic read is The Stewardship of Historically Important Automobiles. 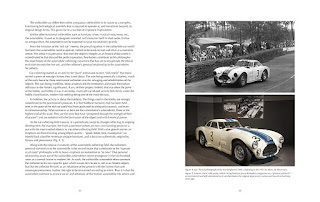 The book was put together by Fred Simeone as a collection of thoughts, insights, and responses from some of the worlds top restorers, historians, collectors, photographers, and dealers. The book is organized into a series of essays contributed by T.E. Berrisford, Miles Collier, Malcolm Collum, Stephen duPont, Michael Furman, L. Scott George, Mark Gessler, Ed Gilbertson, Evan Ide, Leigh Keno, Leslie Keno, Miles Morris, and Carmel Roberts each section has commentary added by Fred Simeone. A full table of contents can be found on the Simeone Automotive Museum website. 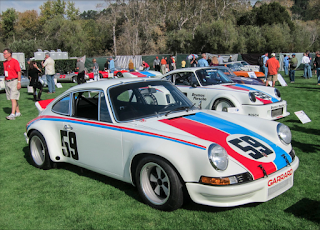 You can also see more about the restoration of the 1976 Carrera MFI 2.7 #9050. I think it's interesting that I've been reading your blog for quite some time, and that only recently did I realize you're having your restoration done by GMT in Bend, Oregon. I live in Bend. 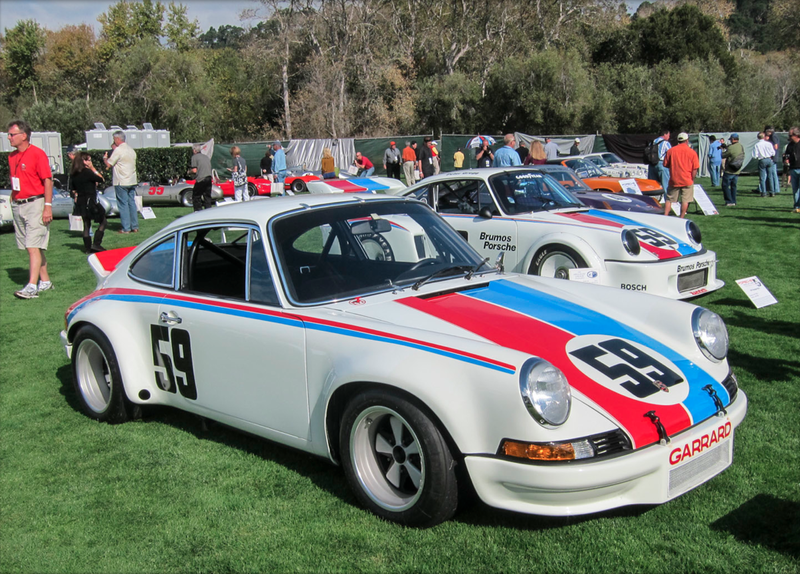 I have my factory 914-6 serviced there, and have attended the Sunriver Festival of Cars with Tim in the past. For a vintage 911 like your RS I'd say you've gone to the right shop. Can't wait to see how it turns out...I'll probably go in a see it for myself as the restoration gets closer to completion. Thanks for posting, keep it up.